Looking for activities for kids with autism? Train with our friendly team of professionals at Dundee’s Boxing & Fitness. Your child will be coached in a safe, supportive environment while being able to enjoy the many benefits of increased fitness and discipline. We love training you in the gym, Michael! We have the best trainers in Brisbane. Unlike other gyms, our trainers don’t come and go. They also have real world experience in boxing tournaments, CrossFit, fitness modelling and much more. They will work hand-in-hand with your child to help them achieve maximum levels of fitness – also, if you have any questions, they’ll be ready to answer. We have great facilities for your child to use and enjoy. We support our clients and work hard at helping them achieve their goals. My Husband approached Dundee’s as he was looking for a sport that would improve our son’s gross motor skills. Dundee’s offered a one on one personalised program with trainers who have experience working with children. 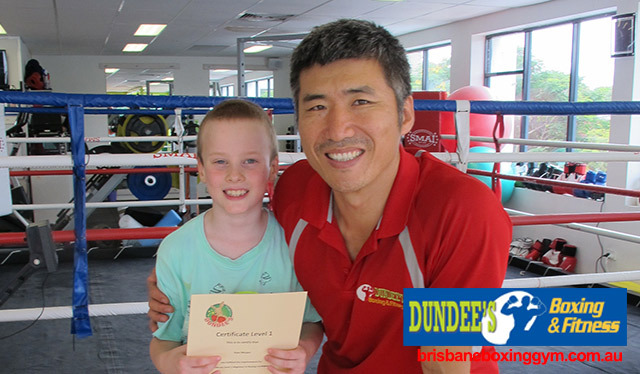 The tailored program helped our son progress from a child who had difficulty co-ordinating jumping and spinning a rope to a child who can easily skip competently and co-ordinate a series of different boxing combinations. His strength has improved and he is learning about healthy foods that will fuel his body. What has impressed me the most about Dundee’s is how friendly, helpful and approachable all of the staff have been. As well as how our son’s individual needs have been catered for regardless of his fitness level. I would recommend Dundee’s to other parents who are also looking for a sport that will improve their child’s gross motor skills, that their child will enjoy and will build their child’s confidence. Interested in kids boxing in Brisbane? It’s time to learn from the pros at Dundee’s Boxing & Fitness. Fill in the form below, contact us or visit our gym in West End today for a free session.